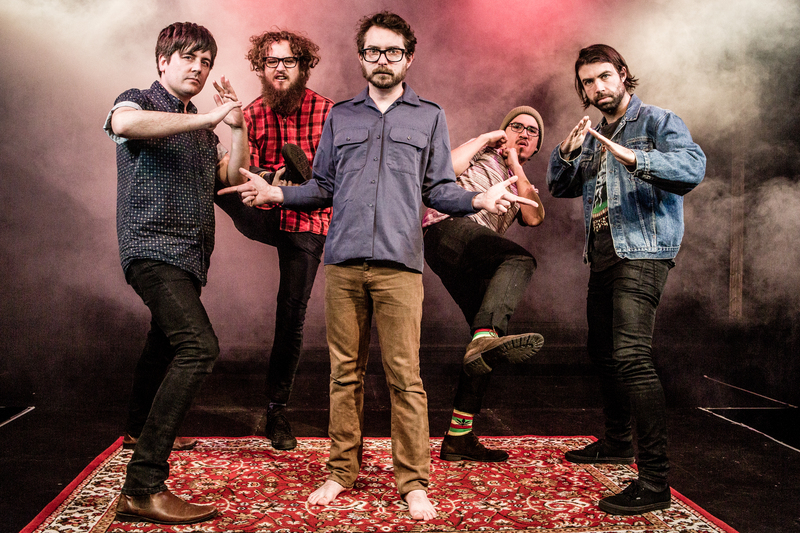 BLUE MOUNTAINS psychedelic/pop quintet Richard In Your Mind have returned with Ponderosa, their most accomplished album to date. Band leader Richard Cartwright explains how it came together and why marching to the beat of your own drum is a good thing, ahead of their Sydney shows. A 14-track collection of psychedelic pop gems mixed and produced by regular cohort SPOD, Ponderosa features woozy instrumentals, waves of percussion and a few surprises. The singer explains how the off-kilter album found its title after a discussion about the Cartwright family on the American TV Western Bonanza. While the influences and variety of sounds on Ponderosa are as eclectic as they come, single ‘Hammered’ is a frolicking ray of sunny pop that pays tribute to daytime indulgence, although Cartwright admits it’s not necessarily about alcohol. When he’s not getting loaded in the daytime, Cartwright can probably be found collecting ingredients for dinner, as described on ‘Four Leaf Clover Salad’. But how many four leaf clovers constitute a salad? Expect upcoming Richard In Your Mind shows along the east coast to be heavy with new material. RICHARD IN YOUR MIND PLAY THE LANDSDOWNE FRIDAY OCTOBER 17 AND NEWTOWN FESTIVAL SUNDAY NOVEMBER 9. PONDEROSA IS OUT NOW.